You have a huge amount of features? You don't want to display all your product features for every product? 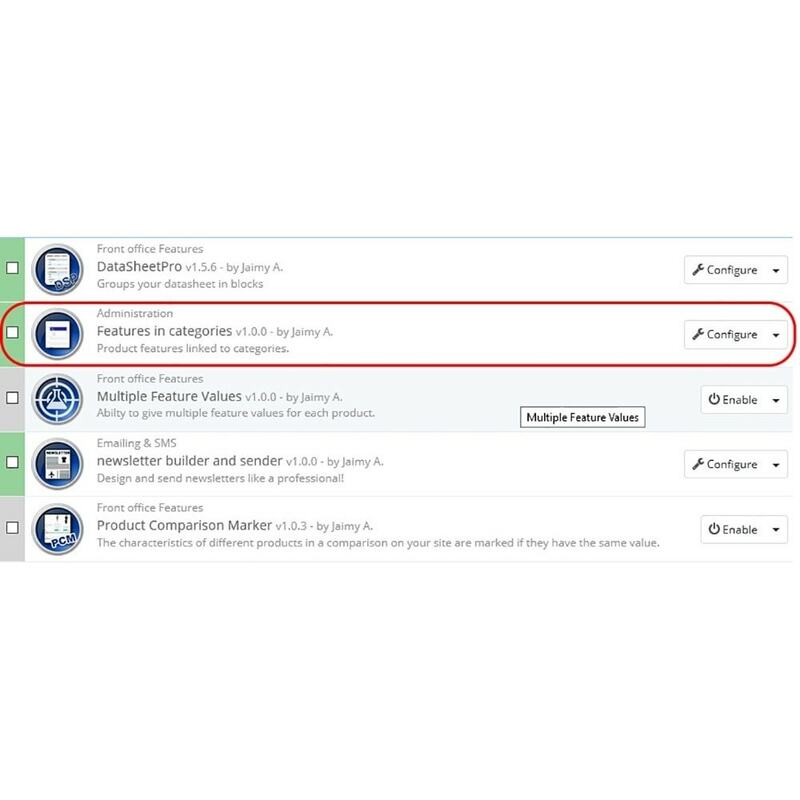 With our module you can organize all your product features to the categories you want! This lightweight module and easy installation will get you started in only a matter of second! What does this module for you? This light weight module does not slow down your back office! Only shows the product features you need for your product. You do not have to scroll infinitely anymore to find the right product features.